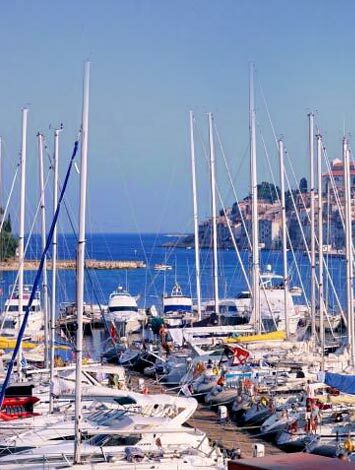 As owners of the yachts we choose them carefully in order to meet the special requirements of the Greek waters and to provide the most comfortable living during your stay on board. We are members of the SITESAP (Greek Professionals Owers Association), and our boats are systematically maintained and regularly inspected by the HELLENIC REGISTER OF SHIPPING. They are fully equipped to make life as easy as possible for crew and skipper. All our yachts have roller-reefing system for Genoa and Main Sail, local charts, pilot guide, echo sounder, compasses, VHF, GPS, Navtex (weather information through satellite), autopilot, flash light, binoculars, dinghy, electrical windlass, hot water, refrigerator, cockpit table, spray hood and bimini. Safety equipment is also standard, and includes always a first aid kit, life jackets, life buoys, safety harnesses, fire extinguishers, flares, foghorn and inflatable life raft. A radio and CD player, with speakers in the cockpit, are fitted for your parties! The galleys are also well equipped with burner gas oven plus plenty of glassware, crockery, cooking utensils and tea towels. For your comfort all the crewmembers have a set of sheets, pillowcases and personal towels. …As you see, we have tried to anticipate your every need.